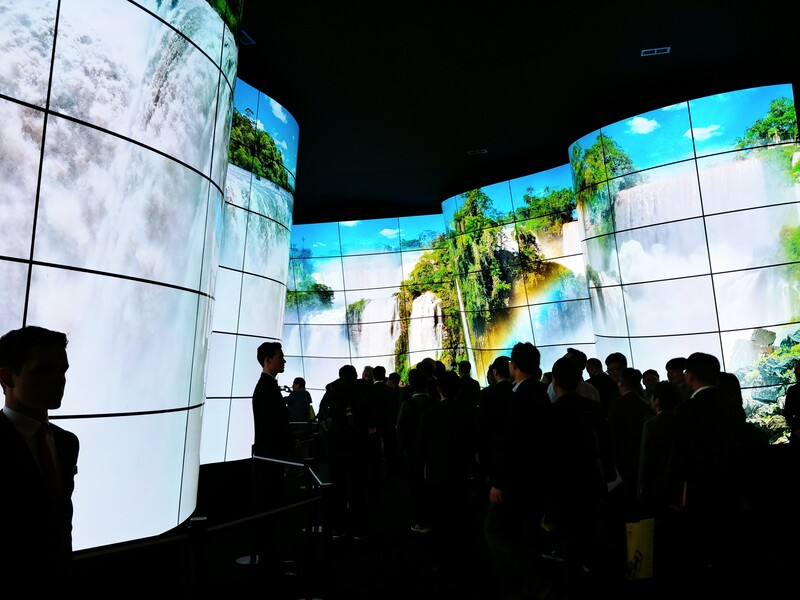 LAS VEGAS, Jan. 9, 2018 — A unique, immersive installation that leverages flexible, eye-popping commercial display technology from LG Electronics (LG), is wowing attendees at CES® 2018 here this week. 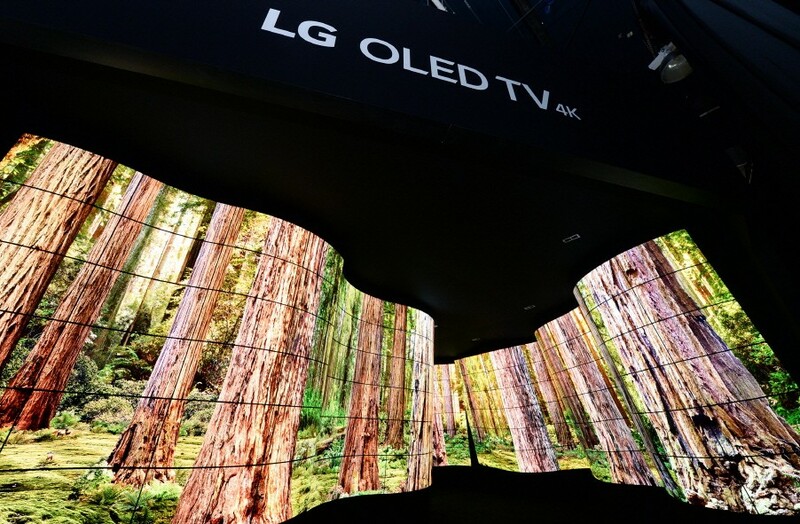 The winding 90-foot-long LG OLED Canyon features 246 LG Open Frame OLED displays, in concave and convex configurations, giving tens of thousands of visitors a one-of-a-kind experience of natural wonders. 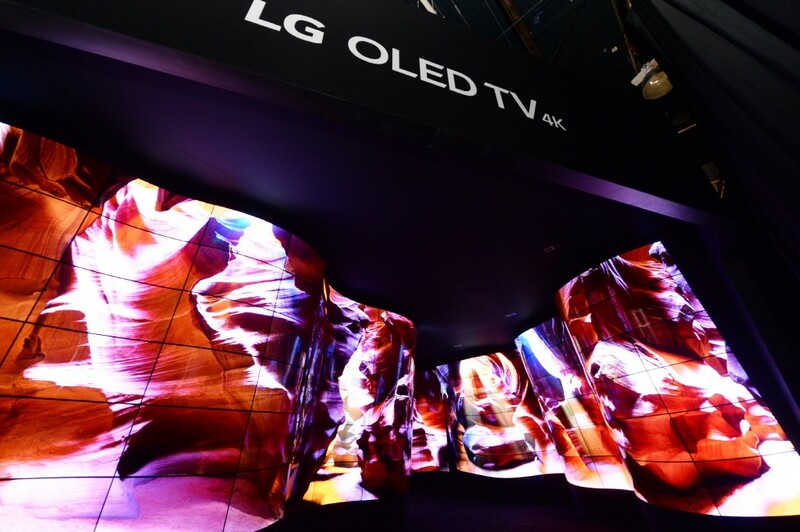 LG OLED technology uses self-lighting pixels for exact control of image brightness and image quality, and with no separate light source the displays are extremely lightweight, thin and flexible. Using this unique technology, LG Open Frame OLED displays for business-to-business applications are able to flex for a truly customizable approach that is both a work of art and functional digital signage. 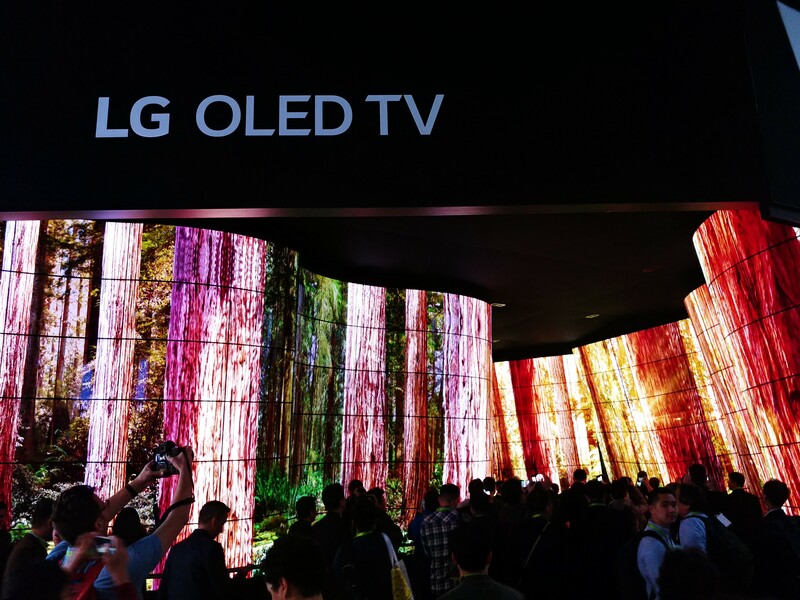 Welcoming visitors to LG’s sprawling CES booth adjacent to the main entrance of the Las Vegas Convention Center, the LG OLED Canyon features 90 concave and 156 convex Open Frame screens. Visitors can walk through a 28m long twisting canyon trail and experience alluring images produced by a total of two billion self-emissive OLED pixels. The incredible video experience, featuring impactful natural wonders such as forest, glacier, waterfall, blizzard and others, is further enhanced by immersive Dolby Atmos audio, which also is included in 2018 LG OLED TVs for the consumer market. LG OLED technology has created a new high-end category of displays that delivers an awe-inspiring picture with perfect blacks and incredible color, even from wide viewing angles, unlike any LCD and LED display. Thanks to OLED technology’s unique ability to turn each pixel on or completely off, LG OLED displays bring colors to life like never before while creating an infinite contrast. 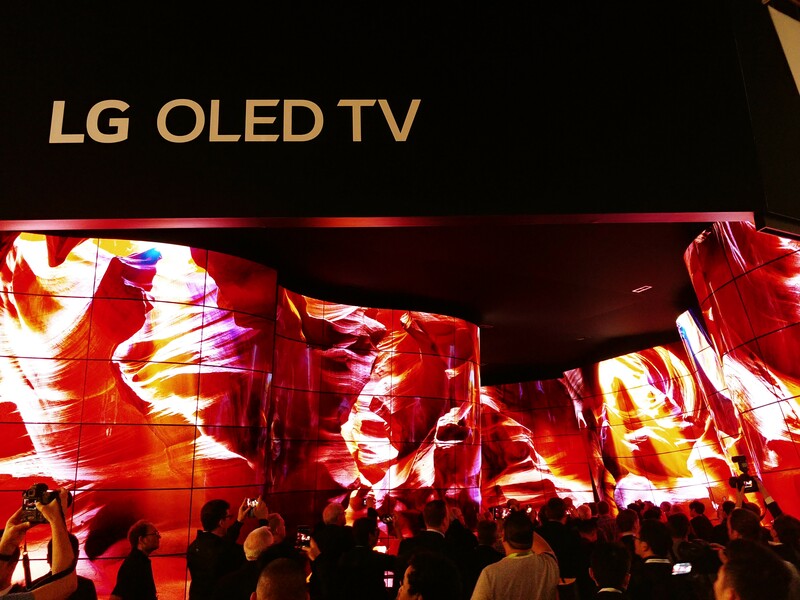 Visitors to LG’s CES 2018 booth (Las Vegas Convention Center, Central Hall #11100) this week are able to experience the LG OLED Canyon firsthand.